Publication: September 2nd 2014 by Destiny Romance. 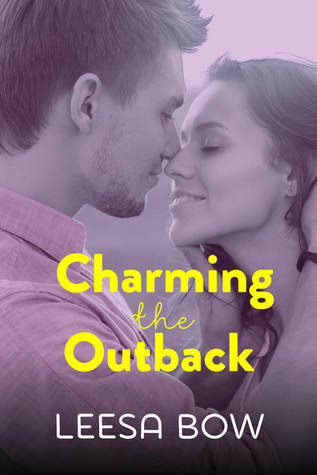 When jaded city girl Maddy McIntyre packs up and leaves Adelaide for a new job in the country, it's not only a chance at a fresh start. Six months ago, the first guy she'd ever loved shattered her heart before moving home to Broken Hill. Deep down inside, Maddy is hoping that living in the same town will give her an opportunity to prove to Luke that she's one temptation he can't resist. But when she arrives in Broken Hill, Luke White is not the same guy she knew in the city. And it soon seems very clear that he doesn't want her there. Although Maddy settles in quickly, excelling at work and partying with her new friends, she can't understand why Luke is remaining so distant. Particularly when all her instincts are telling her that they're meant to be together – and that he feels the same burning attraction. As Maddy learns more about Luke's family and background, she begins to understand that his mixed messages are caused by balancing what's expected of him with what he really wants. Maddy gave Luke her heart long ago and, despite their differences, she knows she'll only ever be happy with her hot country boy. But how can she convince him that she's the risk he needs to take? I grew up in Broken Hill a town in far west New South Wales, Australia. Situated in a desert climate where hot dry summers are common, and so are the magical coloured sunsets. Dust storms are simply tolerated. I remember walking home from school in the middle of a dust storm and the red dirt whipping the bare skin of my legs. During my childhood I also remember the freedom, and the need to explore. As a kid, I would take off on my bike for hours, exploring the outskirts of the town — and searching for Sturt’s Desert Pea — only to return home when hungry or the light was fading into night. During my teens I played a variety of sport, and developed a sense of community within the sporting bodies. When I met my future husband, dating became tricky. Small towns are renowned to have a gossip grapevine. The Silver City is a mining town and breeds tough young men, any you could meet at the local pubs on weekends. Despite their rough diamond image, it’s the simplicity of romance that makes many eligible country bachelors happy. 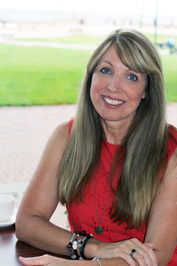 My husband — boyfriend at the time — and I often discovered different places to go on dates. I for one became tired of the usual ‘meet me at the pub’ scene. On weekends, the town comes alive with numerous clubs, pubs and a nightclub in the main street. The people of Broken Hill are known for their friendly manner and are always ready to have a good time. The atmosphere inside a pub quickly escalates with the music, especially since most people know each other, and the night turns into a celebration, just because it’s the weekend. Yet there are many places to host a romantic date in this oasis in the desert. Besides the many restaurants and cafes, picnics can be intimate, especially while watching the sun sink into the Mundi Mundi plains, lighting up the sky in brilliant shades of pink, orange and yellow. You only need a rug, chairs, some nibbles and champagne to make it a memorable date. One of my favourite places is the Sculptures, nine kilometres out of town. Artists like Pro Hart, are renowned all over the world, yet many came from around the world to create the 12 massive sandstone sculptures. Dramatic sunsets can be seen from this sanctuary but considering its popularity with tourists, you might not be alone. If you like watching sunsets, then you don’t have to drive far to get out of town for an uninterrupted view. I remember lying on the bonnet of my hubby’s car one summer’s night and taking in the stars, pointing out the Southern Cross and other star formations. Nowadays horoscopes, stars and planets can be easily identified with apps on our phones to make it more fun. With the appeal reality TV shows like a ‘Farmer Wants a Wife’ has to young women searching for a new life, the attraction of living in the country has many positives, and yet I also enjoy living in a small city. Though I have to admit, my country man is the perfect husband! The best thing I remember about living in the outback: the serenity is mesmerising. I've been my whole life in Vietnam, now settling in Finland. I've traveled through 3 Baltic countries (Estonia, Latvia, Lithuania). The most recent country I was in is Sweden. I have been to Thailand, China, Italy, Singapore, and Hong Kong.